The ability to create memories is what makes a golf course great, and Tidewater Golf Club generates plenty of them, but we aren’t here to talk about the views. Here is a look at three shots along Tidewater’s back nine that are equal parts exhilarating and knee-knocking. If you’ve played the course before, you know they are coming. If you are a first-timer, you will be talking about them afterwards. - There is a strong case to be made that No. 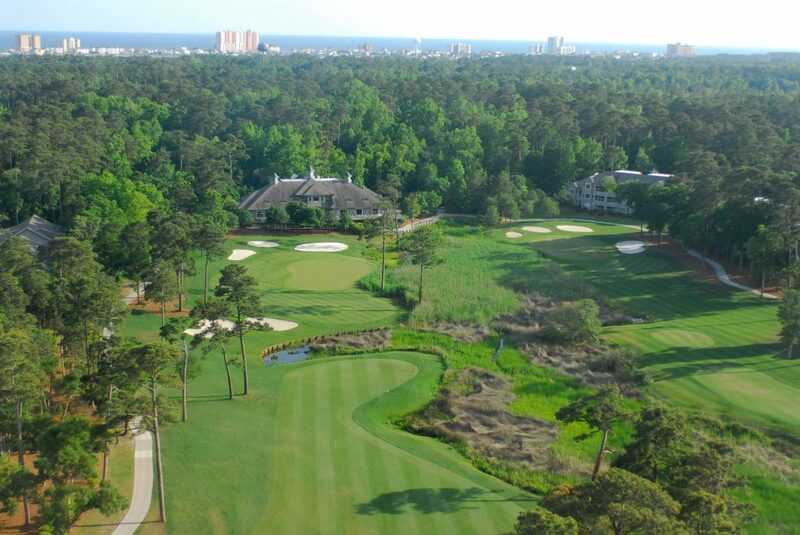 12 is the Myrtle Beach’s area’s most scenic and pulse-pounding par 3. 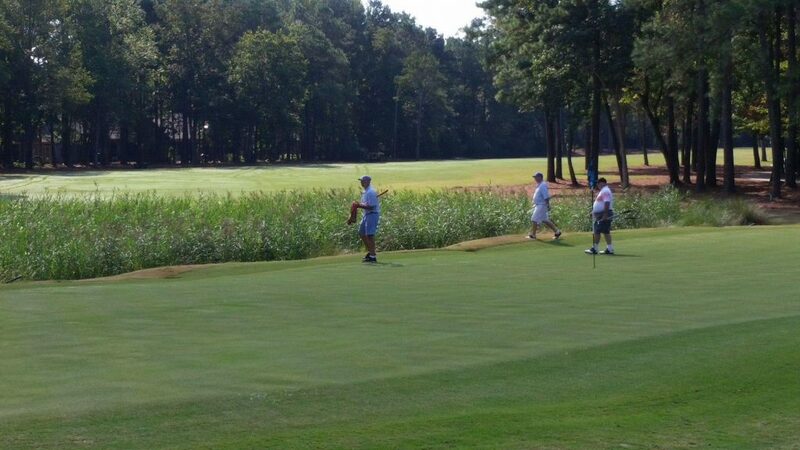 The peninsula greens plays into Cherry Grove and the teeing ground is shaded by a beautiful live oak tree. 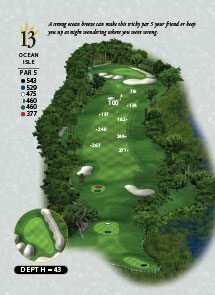 Playing 145 yards from the white tees, the shot is almost all carry and the prevailing wind is typically coming off the water, meaning the hole will occasionally play longer. There is room over the green to miss, but that will mean chipping back downhill toward the water, which isn’t without risk. This tee shot is the most photographed of the day and one you will discuss after the round and upon your return home. Take a deep breath, trust your swing, and hope for the best. 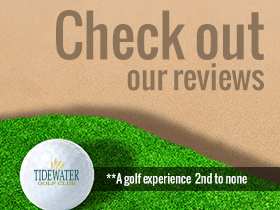 - One of Tidewater’s shortest par 4s, presents one of its biggest challenges. Playing just 323 yards from the white tees, the 15th hole, a dogleg left, appears to be a breather before a challenging close, but you better have your short irons dialed in. Distance off the tee isn’t a necessity - 200-220 yards to the right side of the fairway is ideal - but this is one of the most delicate approaches on the course. Wetlands nearly run to the front of a green that has plenty of length and not much width. You must throw the ball in the air and land it in the right spot. Come up short and there is a good chance you will donate a ball to the wetlands; go long and you will be over the green in a swale, forced to chip back up toward the wetlands. According to the USGA, this is the easiest hole on the course. According to my mental scorecard, the approach is short and chocked full of pressure because you have to make a good score on No. 15, right? - Speaking of scoring, we all like to close strong and the approach on No. 18 means you will have to earn it at Tidewater. 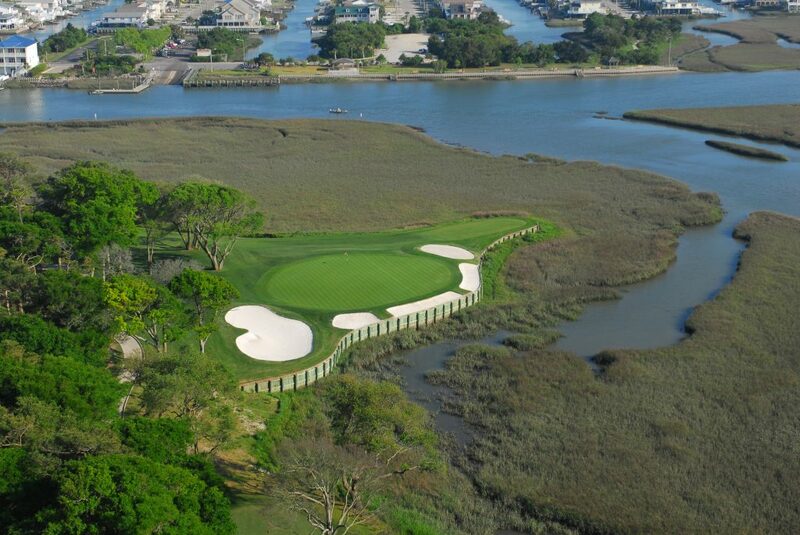 The marshy waters of the nearby Intracoastal, hug the right side of the hole, running up to the edge of the green. Even the slightest push will result in a lost ball. Director Of Marketing at Tidewater Golf Club in Myrtle Beach SC. 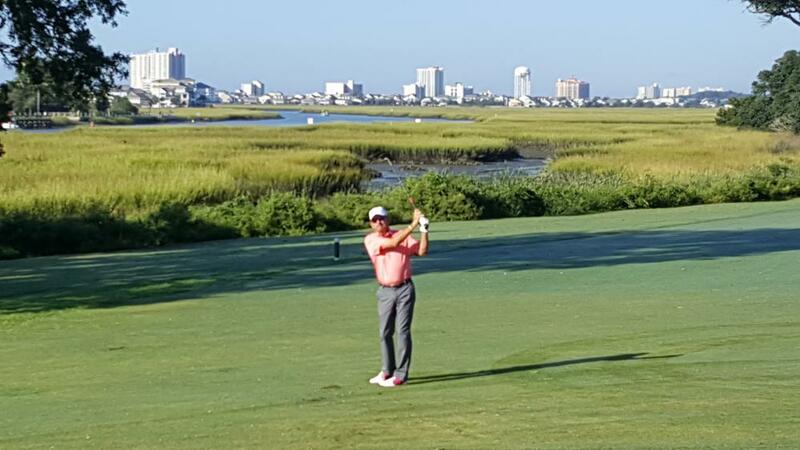 He works with the team at Tidewater to share the amazing vistas, golf, service and fun that is part of Tidewaters long heritage of being the unrivaled golf location and venue in Myrtle Beach SC. "Best Savings by Booking Early"